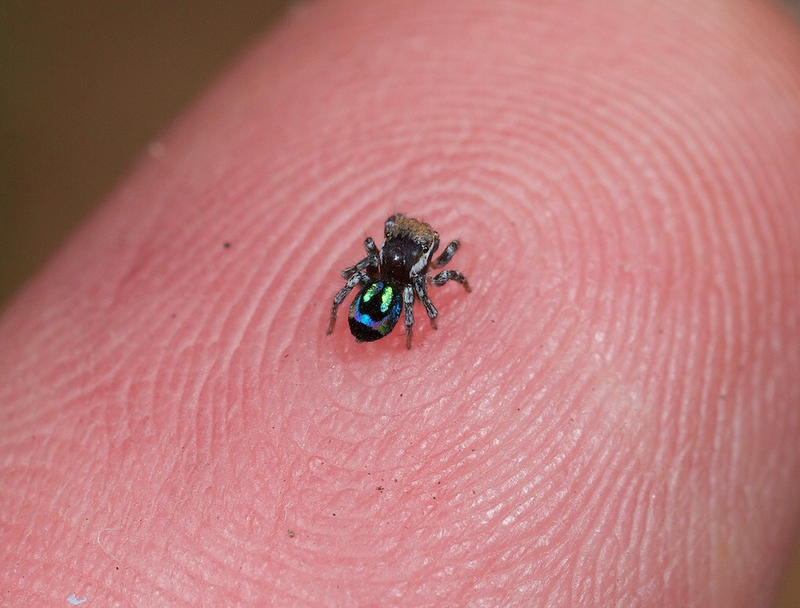 Above is an image of a peacock spider (Maratus volans) on the finger of entomologist Jürgen Otto. I have spared my readers (especially my arachnophobic sister) news of all the newly-discovered tarantulas and other giant and brightly-colored spiders, but couldn't resist linking you to a video of this tiny Australian species. "The animal dances and lifts up its tail-flap, which, once unfurled, resembles an abstract Indian blanket of intense color. The tiny creature hops about, lifts up its legs alternately like an air traffic controller, gesturing this way and that. Its large, furry mouthparts almost make it look like it's smiling, or at least mildly amused at this outrageous act," describes Douglas Main on Live Science. Like me, you will be as mesmerized as the spider ladies!